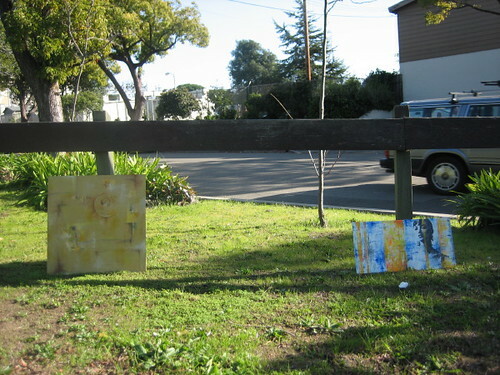 Hidden Gems of Berkeley Walk and Bike Ride This Sat., May 10! 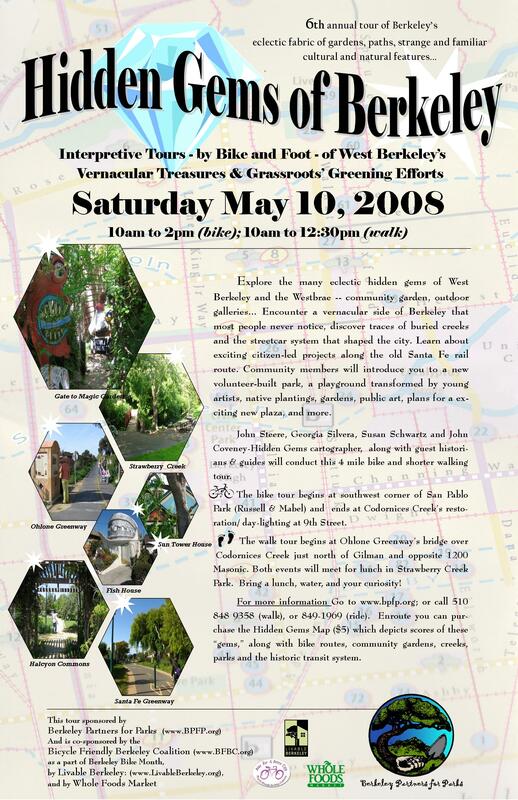 The Hidden Gems of Berkeley Walk and Bike ride is this Saturday, May 10. Click on the image above for details. If you cannot view the image for some reason, following is a description of the event. Hope to see you there! Join us for the 6th annual tour of Berkeley’s eclectic fabric of gardens, paths, strange and familiar cultural and natural features…This year we’ll explore the many eclectic hidden gems of West Berkeley and the Westbrae. Join John Steere, Georgia Silvera, Susan Schwartz, John Coveney and guest historians/guides in this 4 mile ride through curiously historic and creative features of the flatlands. Bring a lunch, water, and your curiosity! The bike tour begins at a hidden gem – San Pablo Park at its southwest corner (by Russell and Mabel) and will end at Codornices Creek’s restoration (day-lighting) at 9th Street. The walk tour begins at the Ohlone Greenway’s bridge over Codornices Creek just north of Gilman and opposite 1200 Masonic. Both events will meet for lunch in Strawberry Creek Park. For more information, see attached; or call 510 848 9358 (walk), or 849-1969 (ride). Enroute you can purchase the Hidden Gems Map ($5) which depicts scores of these “gems,” along with bike routes, community gardens, creeks, parks and the historic transit system. 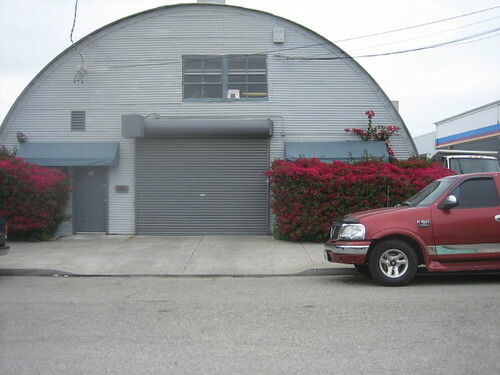 I’ve always been fascinated by Quonset huts, but hadn’t known much about their history until finding a book about them a couple of years ago, Quonset Hut: Metal Living for a Modern Age. These prefab structures were used as temporary shelters during World War II, and then were used for other industrial, commercial, and residential purposes after the war. They can still be found here and there, and I was pleased to run across one in West Berkeley, at the end of Folger street. 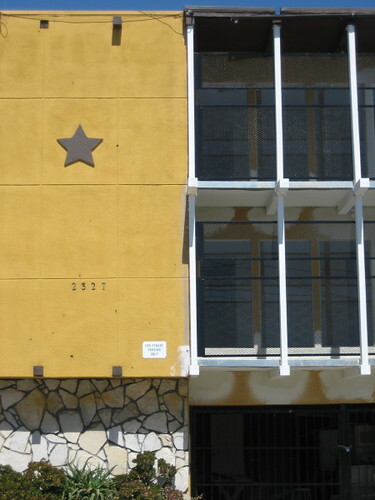 I looked up the building in Discovering West Berkeley, which noted that it was built in 1946, U.S. Navy. It looks like other nearby buildings were the site of manufacturing that supported the Richmond shipyards during WW II. There’s quite a bit of history to be found about Richmond and the war, including exhibits at the Rosie the Riveter/World War II National Historical Park (an easy car-free outing from Berkeley — take a bike over the Berkeley I-80 bicycle bridge and ride north on the Bay Trail path to the park, which just one small hill at the racetrack). But what about Berkeley? Because of Berkeley’s association with the peace movement, the city’s role in wars isn’t something everyone thinks about. However, there is plenty of military history here. Berkeley, A City in History includes a good summary of World War II and beyond, and the December 2006 issue of the Berkeley Historical Society newsletter has an article about and photos of Camp Ashby, a U.S. Army training camp for black soldiers during World War II. One point I did not really cover in my previous post about West Berkeley is how a walk in this part of Berkeley can really illustrate why it is not advisable to make sweeping judgments about a city or feel like one can summarize a city in a few words. Hippie. Yuppie. Foodie. Wacky. These are some of the words that have been used in the media to describe Berkeley residents. If I just went by what I read, I might believe these descriptions. But by getting out on foot I have hoped to discover for myself what it is like and share those discoveries with others. About a week ago I was waiting for a friend to take care of an errand at a West Berkeley business. I was jolted out of my thoughts by the sudden arrival of a mobile vending cart with its blaring horn. I thought to myself, I wonder if many people will really come and purchase food from the lunch truck? And sure enough, within a couple of minutes people were wandering out of nearby industrial buildings to purchase donuts, sandwiches, soft drinks, and the like. This experience came back into my thoughts a couple of times over the past few days, and I wondered why. 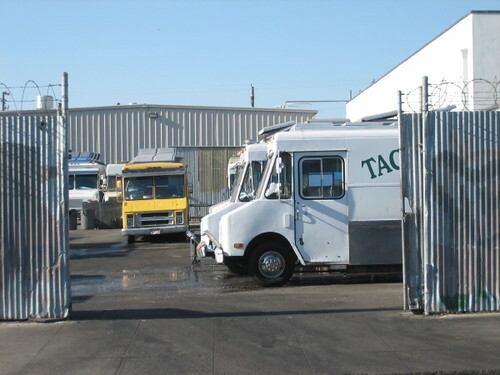 It is not unusual to see a lunch truck (and particularly a “taco truck”) in the Bay Area. What I finally realized is that the lunch truck is a stark contrast to the image of Berkeley being as a “gourmet mecca” or a “foodie’s paradise.” Not everyone is taking a break at lunch from their white-collar office job (or their leisure time) to dine on expensive meals of grassfed beef, organic baby greens, and local wine. Fourth Street and its upscale restaurants are just a few blocks away, but many people who work in West Berkeley probably never get over there. And, as I noted previously, many people seem to drive directly to the Fourth Street shopping area and never stray outside of those few blocks. Walking a couple blocks from here, one might see the aforementioned lunch trucks, the factories, the day laborers waiting along Hearst Ave. for work, the grocery outlet store, people rolling carts full of bottles to sell at the recycling center. There is a lot more going on in Berkeley than one can see from the window of a passing car. After more than a week away from Berkeley, I am back and ready for more walking. Most of my time away was spent in the California desert — Anza Borrego, Palm Springs area, Mojave — which is huge and spread out and not particularly suited to walking (especially in the summer when it gets up to and over 100 degrees F). The town of Palm Springs, however, seems to be a great place for walking — lots of interesting mid-century desert modern architecture, old signs, and much more. In any case, I am finding that after being away for awhile in a different environment I am seeing new things. On my first very short walk to get groceries after returning home, I took two photos along a street I have walked down two or three times a week for the past few years. 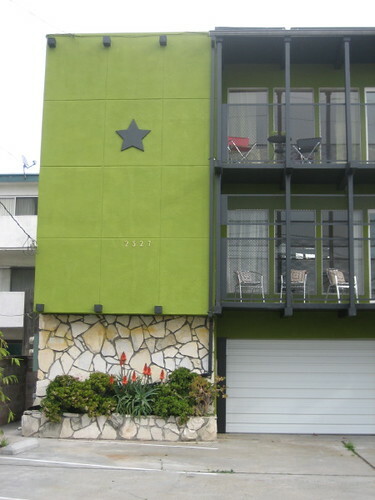 Also, the plants were blooming in December but not during the summer, and the building had now been “staged” with patio furniture because one of the units was up for sale (interestingly, a TIC — tenancy-in-common — the first of this type I have seen in Berkeley). My last walk of the year was an eventful one, primarily because I had the pleasure of walking with fellow every-streeter Gary Jarvis of Runs Brooklyn. As he does with his accounts of running every street in Brooklyn, Gary did a great write-up of the walk we took while he was in the area for the holidays. Gary’s blog is very enjoyable to read, with detailed and interesting accounts of Brooklyn neighborhoods infused with his great sense of humor, and it was fun to finally meet him in person and share our experiences as “urban completists” (a brilliant term for these projects — thanks Gary!). A great way to end to end a year of walking Berkeley! You may be wondering where I am at in terms of completing the walk of every street. I am estimating that distance-wise I am about 3/4 of the way there. However, many of the streets I have left to walk are in the hilly areas of town, which will take much longer than the flat grids of the western part of Berkeley. I also have quite a bit of the Elmwood/Claremont neighborhoods to walk, as well as the Berkeley campus and streets here and there throughout town, so you can expect to hear about all of those areas over the next few months. As I have mentioned in previous posts, most of my walks start from my home. Now that I am pretty far into my walk of Berkeley’s streets, that means I walk some streets multiple times. I have found that I don’t mind retracing parts of previous routes; I now have things that I want to revisit to see changes or progress. Over the summer for instance, I walked by the Berkeley Amtrak station and found paint color tests across the street from the station. When I walked by again a few weeks ago, a mural was in progress in the same spot. Later this year, I will walk by again and hopefully see a completed project. Unfortunately, not every follow-up visit to a location in progress is positive. You may remember my mention of the playground reconstruction at Cedar-Rose Park. It has taken months to rebuild this playground, and it looks as if it may be just about finished. When I walked by this morning, though, the brand new concrete play structures already had graffiti scrawled on them. Usually seeing graffiti is not a surprise. Graffiti, mostly gang-related (though what was at this playground appeared to be anarchist graffiti), can be found all over town and throughout the urban areas of the Bay Area. But it was just sort of sad to see it on a newly re-constructed public playground for children. I didn’t have the heart to take a photo of it.